Ok dude, so you totally busted my whole world open with your outburst in your reply to Jd's "hi" post. I dont even kno wwhere to begin... yeah I do, I'm going to be as nice as possible... Question number one... what was all that about? I ead it and it infuriated me to read that Jah is only for the black race. Im biting my tongue so as not to offend because that's not my groove, but d@*m. Crucial. Dude, I'm just lookin to care so if you have any "wisdom" that you can share with me to open my eyes about your opinion on rasta or what Jah that you know... Oh yeah.. God gives life to all who are breathing so He loves us all eqaully. No one color more than the other. Exactly where do you get all your info? I apologize if I offend, again not my goal here. I will tell you what thats all about. I have never heard from any other race, community, or people that asked the question about race to belief or follow in a particular way of life or religion. And that DUDE open that door for what reason I have no idea. If you read my post with a different mind set than just TREE-NATTY don't like white rasta you will see what I'm trying to say. Why is race always a issue with everthing!! I said before in another post whites are more likely to do things in a racist intention. That post is a PRIME example of what I'm speaking of. Again whats love got to do with asking can you be rasta if your white?? What s love got to do with that!!!!???! TELL ME PLEASE!!! THAT why I went off because there mind is still clouded with the mentality of their forefathers. Again why open doors that should not be open???!!? Cause they have been told differently in a bias way and believe it!!! You fight fire with fire!!! Why would the most high come to the people who is in complete control of the world issues and actions. Why not come to the ones who are downtrodded. I have no opinion on JAH . Jah is there that all I need to know. I see you do not know to much on Rasta and this is the reason why you came here. But if you are learning how can you be infuriated!!! On something you simple don't know enough about? ? Be mad at that NOT AT ME! If you want to learn more about anything ask question about togetherness and oneness not requirements!! Please don't bite your tongue for me! I'm a big boy and can take anything dealt to me "cause my hand is made strong by the hands of thee ALMIGHTY"
So you being upset with me is either fustriation with lack of knowledge of rasta or jealousy. Cause one thing Rasta must have is patience and humbleness. ANd remeber rasta is not for everyone! Only whites have said that Rasta is for everyone but it is not! Your GOD may created eveyone equality but not mine! Remember JAH is jealous, a murder,and favors one over another.....if you have read the bible you will see! So love only comes to those who he feels is good in his eyes and thru out history he KEPT his eyes on the AFRICAN people of the world.......DEM AND DEM ONLY! If I'm wrong on that show me where JAH came down and help anyone else??? Don't blame me blame JAH or your GOD......NOT ME D U D E!!!! Michael they trying to break the unbreakable!!! I Iverstand your reasoning Tree-Natty, having these people always asking the same question. It is a little irritating. But I think the reason this question is always asked, is because many people, white and black, have the belief that white people have no place in RasTafarI. So a lot of these people are told this. Whether a white person told them, or a black person told them. So they are asking for confirmation. 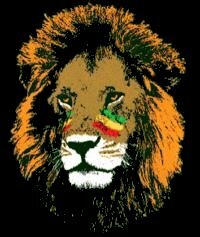 People that know RasTafarI trod, know that livity is what makes you RasTafarI. But many people know very little about I and I trod, that is why they come to these forums. To seek answers, because some people don't have RasTafarI in their own city to get these answers. So just Iverstand these people's situation and why they are asking this question. They are asking because they hear conflicting views, where some say one thing and other people say something different. I only occasionally post answers to those types of questions, because I don't feel like giving the same answer over and over again. I usually just leave it to others to give the answer. "WHO FEELS IT KNOWS IT"
That how they should see themself in Rasta if your common sense mind feels something is true than.......IT'S TRUE!!! True Tree-Natty, those are very good words. This is what people need to learn. I always tell people don't look to I to decide how they should live. Because I don't look to them. I live how I sight that I should live. I learn from others and adjust my views based on what I see as truth. But my path is not dictated by anyone except myself and Jah. I have a saying "I don't care what anyone says, unless I agree with them"
If someone points out something about I that is truth, and I sight it as truth, then I will make the changes to correct I ways. But if someone points out something about I that I don't see as truth. Then I won't change I ways, unless they are able to convince I that what they are saying is true. Greetings in the Name of the Most High! Ark I, what you are saying is a really good method to deal with this. I and I will think about it. I've learned something really special from your posts. I and I think it will help me to understand and deal with somebody on a deeper better level.